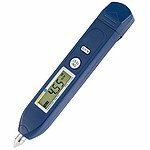 Vibration Meter เครื่องวัดความสั่นสะเทือน, เครื่องวัดอุณหภูมิ, เครื่องวัดแสง, เครื่องวัดเสียง, เครื่องวัดลม, เครื่องวัดคุณภาพน้ำ หัววัดอุณหภูมิแบบเข็ม เครื่องวัดคลอรีนในของเหลว เครื่องวัดค่า pH&Temp. New for 2019. Introducing the EN210 Vibration Meter with Memory for 100 data points, Max Hold button, and backlighted Graphic LCD display. 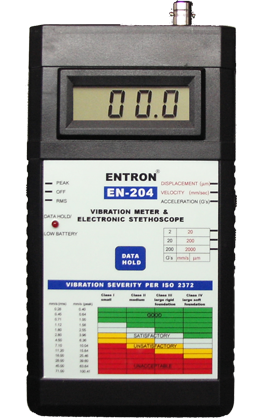 EN210 is our newest addition to our best selling vibration meters. The following are the added features of model EN-210-KIT. 1. Memory for 100 data records. 2. RECORD button for storing up to 100 data records. 4. 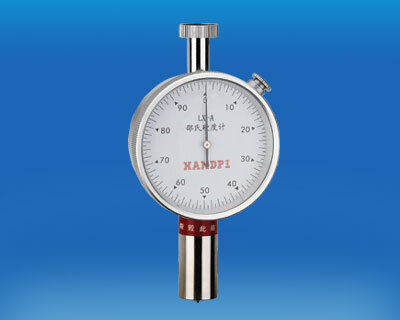 MAX HOLD button for holding maximum value measured value is stable, and only increases if a greater value is measured. 5. Backlighted Display for easy view. 6. Auto power off after 15 minutes of use. 9. High Repeatability, uses ony one unit (peak values). lasts all day with continued use and are environmentally friendly with average life span of two to three years. 12. Economical Only 26,950 Baht. NEW for 2019...EN-210 Vibration Meter and Electronic Stethoscope with Data Storage for 100 measurements. - EN-210 Meter supplied complete with LI-Ion batteries. - Industrial Headphones. Recharger, Industrial Accelerometer, Rare Earth Magnet, Stinger probe, Carrying Case. 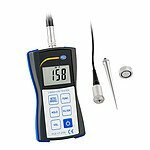 , Calibration Certificate, and operating manual in English and in Thai Language. EN-200A: Vibration Meter & Electronic Stethoscope With new graphic display and backlight. 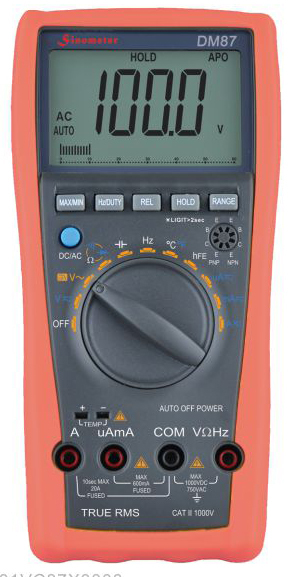 The Vibration Meter PCE-VT 2700 is ideal for quickly testing vibrations at machines. 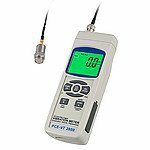 The PCE-S 41 Vibration Meter is battery powered and easy to use. 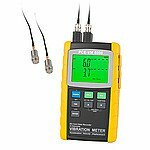 This Vibration Meter can be used for detecting noise in machinery. 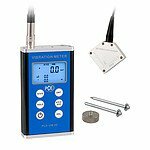 The vibration meter PCE-VT 2800 is ideal for maintenance personnel to quickly check vibrating parts, machinery and equipment. 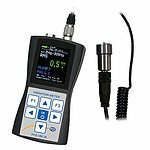 The vibration meter PCE-VM 3D provides quick and simple measurements The vibration meter PCE-VM 3D is able to record vibration in three dimensions on the x-, y- and z- axis. 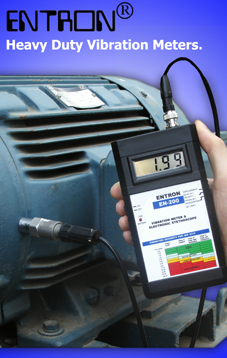 The PCE-VB 102 vibration meter is designed for pumps, fans and hydraulic turbine. The 4-channel vibration PCE-VM 5000 performs vibration measurements on up to 4 places at the same time . The vibration meter ensures in many cases the symptom-free operation of the machines and shows the effective & peak value and crest factor. 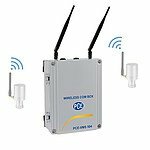 The wireless Vibration meter features external vibration sensors, which measures vibrations at machines to transfer those wireless to a receiving unit. 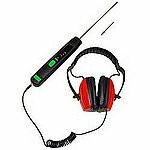 The Vibration Meter operates by using a piezo-transducer that detects even the quietest sound. with digital volume control. อัตราเร่ง : 0 ถึง 20G,pk/RMS. ความเร็ว : 0 ถึง 200mm/s pk/RMS. อัตราเร่ง : 0 ถึง 2/20/200G,pk. ความเร็ว : 0 ถึง 2/20/200 in/sec pk. 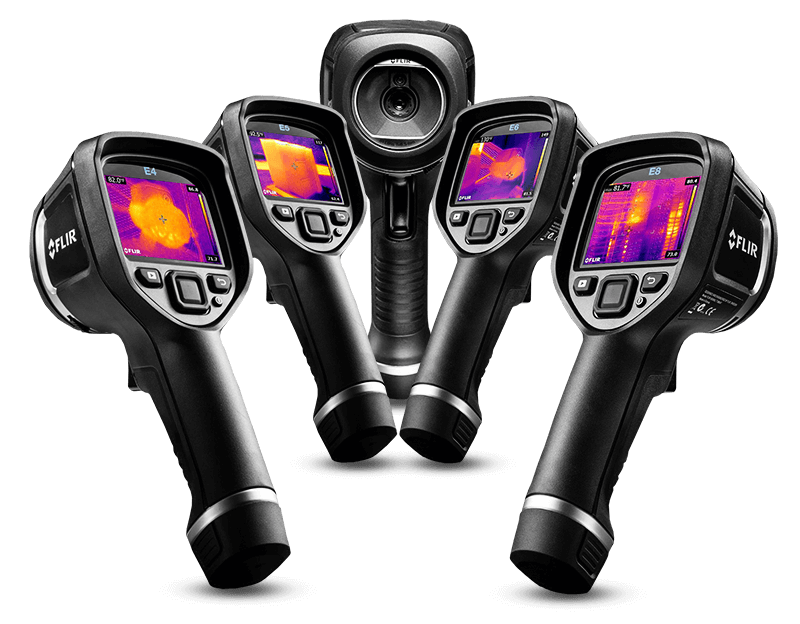 Featuring the EN200, EN202, and the EN204 Vibration Meters. 3. Accuracy - uses an IEPE standard Accelerometer gives 1% accuracy. environmentally friendly with average life span of two years. 6. Economical. Only 24,995 Baht. Displacement Ranges: 0-20, 0-200, and 0-2,000 microns. DM87 DMM with VSD (variable speed drives) for frequency converters (VFD).